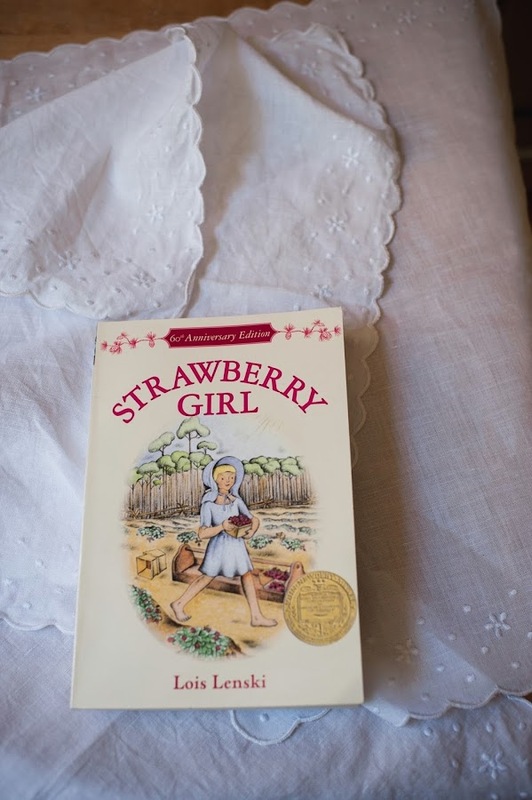 True confession time - I never read Lois Lenski's classic 'Strawberry Girl' when I was growing up. I think I recall picking it up and flipping through it and seeing the dialects on the page and realizing that there were no fairies in it, and that it was about some little girl in Florida doing some kind of farming and I was bitterly disappointed. I thought ugh, borrrrrrring, pass. Flash forward to Julia's toddler years, when I bought nearly all of Lenski's books for tiny tots, like 'Policeman Small' and the hilarious 'The Little Family' (you will laugh/cry/rage at the way gender roles are described) and our special favorite, 'Cowboy Small'. 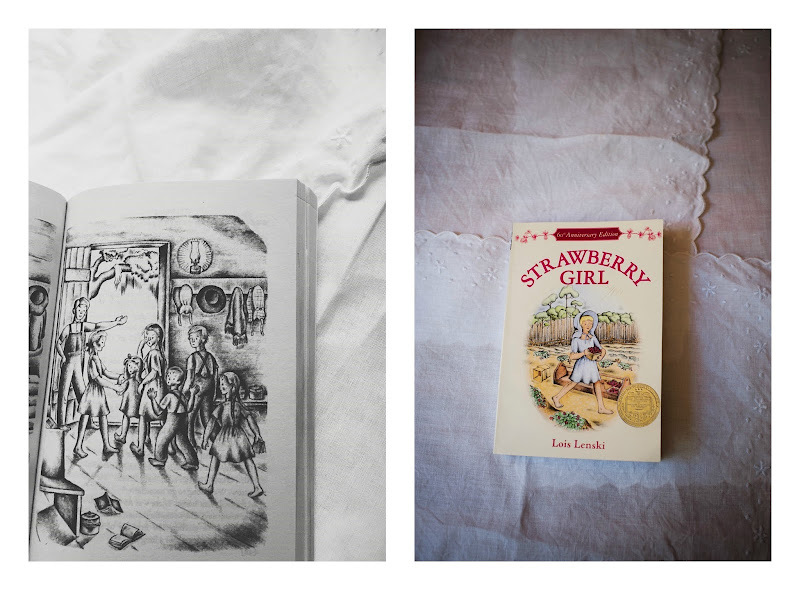 I rediscovered Lenski's deceivingly simple and distinctive old fashioned illustrations and thought, maybe I should try out 'Strawberry Girl' again someday? And then forgot all about it. 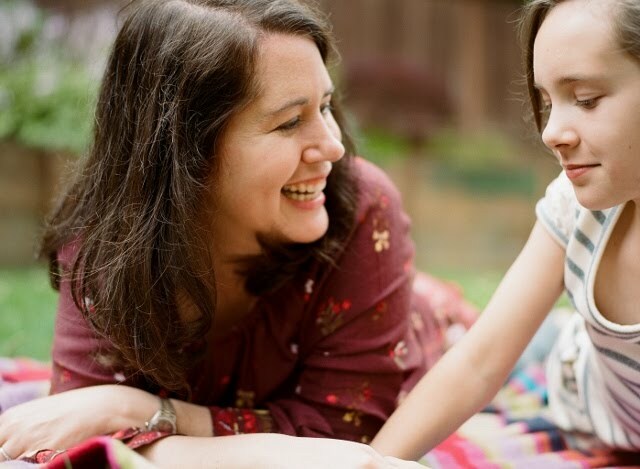 Until about a month ago, when Julia came home from school, seriously yelling "MOM. 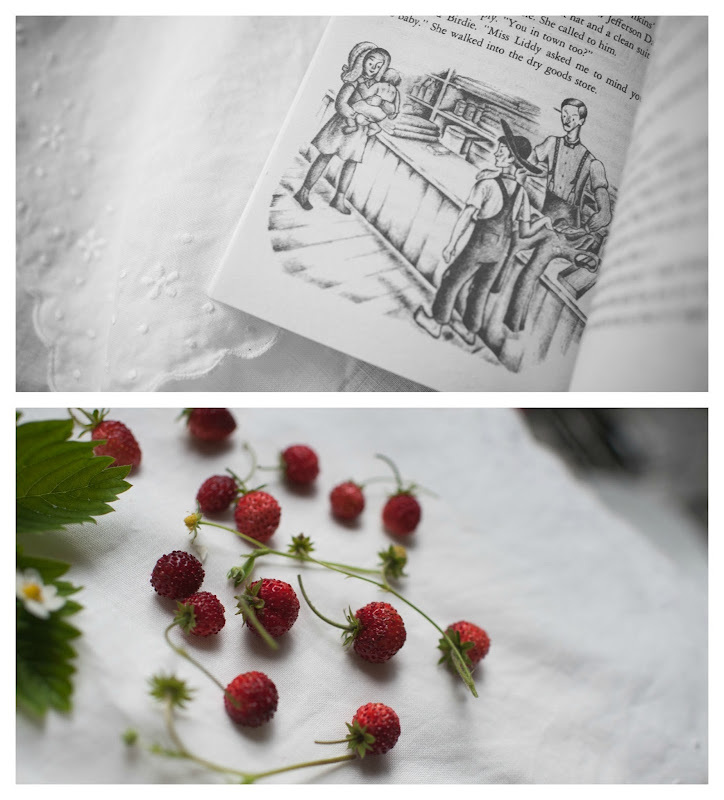 I read this AWESOME book called 'Strawberry Girl'." And I was like wow, I can't believe you read that and it had nothing to do with me and I was so happy that she liked it and I was also so impressed that she got through the strong dialects written in the story - Julia calls books like that (see also 'Misty of Chincoteague') "shore books" - because in particular areas of America, people pronounced "sure" as "shore" as in "I SHORE did." Anyway, she loved the book, and was shocked and amazed that I had never read it. So I went and bought myself a copy - since it's such a classic, I thought that I should own it, and then I sat down and read. When Julia saw me reading it, she actually made me read parts of it to her out loud, even though she had just read it and I was more than halfway through. And now that I've finished it, I can see why she liked it, and as one of the biggest card-carrying LHOTP Laura Ingalls Wilder fans that you will ever ever ever see, I can't FATHOM how this book got away from me, along with the rest of Lenski's regional books that chronicled different parts America in the early 20th century. Lenski moved in and studied the communities she wrote about closely, and poured particular attention into detailing the children. It was important to her to accurately depict how people were actually living in various areas small areas and towns around the United States. And while I've only read this one of Lenski's books that were written for upper elementary kids, (don't be fooled by the sweet looking cover - this is harder and grittier than the LHOTP books - the kids in the story are poor, dirty, and one father in the book is a drunken mess and that's made very clear; his drunken gambling rages are mentioned at least five or more times), I can't WAIT to get my hands on more, specifically 'Prairie School', which many consider to be their favorite Lois Lenski story - it details a 'The Long Winter'-like setting about kids trapped within their schoolhouse for two weeks during a blizzard. By the way, check out the art in that last pic up above, fantastic no? Ok so what's it all about? 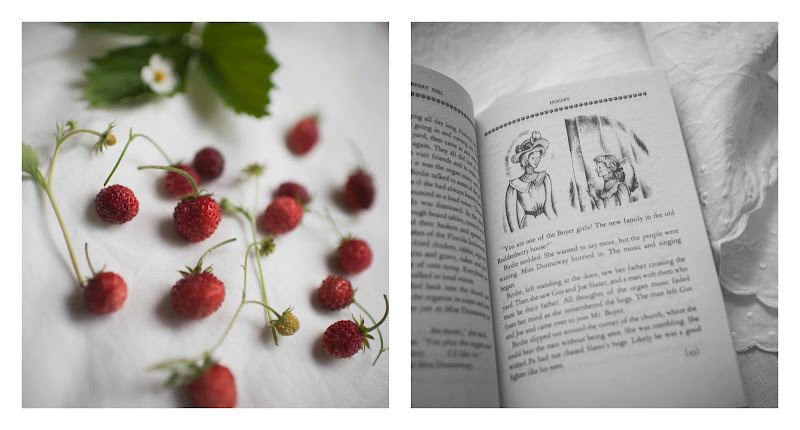 Please ignore my sweet photos of lovely strawberries (that came from a rogue strawberry bush in my garden!) and all of the pretty I tried to show you today - let me diverge wildly as I tell you that the plot reminded me of that show 'Justified' - the junior children's version. HA HA HA HA. I can't believe I just compared Lois Lenski anything to 'Justified'. But it's true. The plot centers on a feud between two neighboring families - one dirt poor and one slightly less than dirt poor. Family 1 doesn't believe in basic hygiene (too uppity) or even in feeding their farm animals, and are angered when their cow doesn't produce milk. 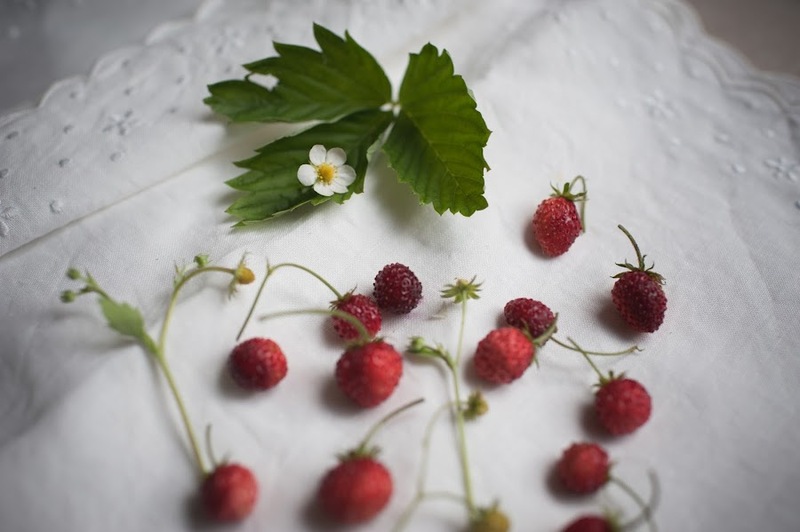 Family 2 (Strawberry Girl's family) has their act together a bit more, and is continually having their efforts to grow produce like strawberries and oranges and cane syrup thwarted by the other family, who like to let their hogs run wild over Strawberry Girl's dad's fenced land. Family 1 has a son who likes to throw LIVE SNAKES (of the non lethal variety) at Strawberry Girl's head and feed live rabbits to rattlesnakes. He's pretty fascinating because he swings wildly in the story between acting like a punk, while also possessing an awareness of how his drunken father's actions are negatively affecting his family's fortunes. 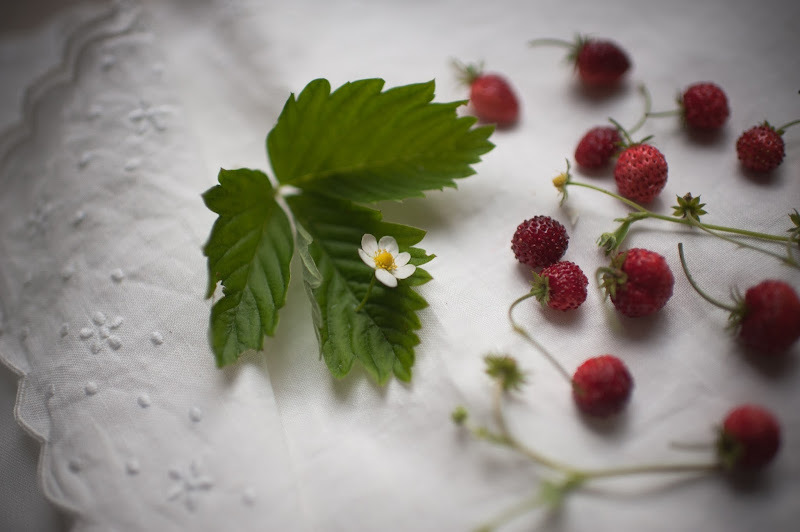 The Florida setting is vividly described - the kids have tortoise races, there are alligators in the middle of the road and summer vacation takes place instead in the winter months, which is when the strawberry harvest ripens. You can totally FEEL the heat and the swelter and the dirt, no joke. 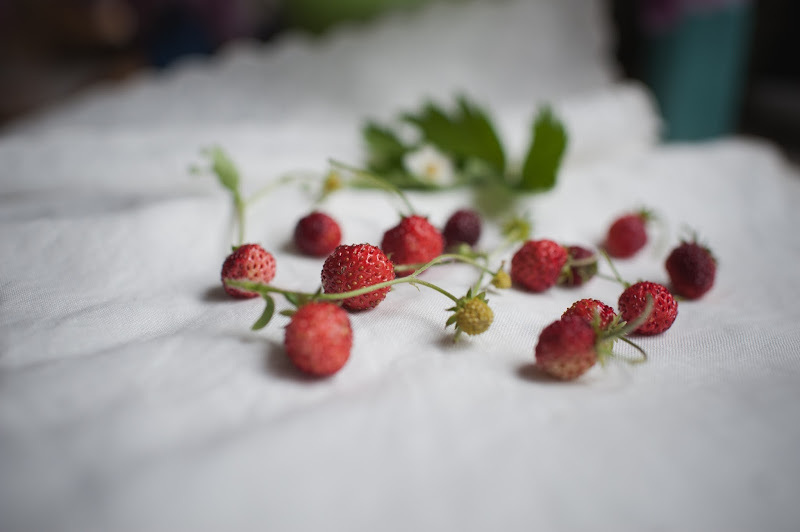 So have I sold you on 'Strawberry Girl'? It's definitely Not Boring. Have you read it? Have you read any of her other books? Shall we meet again to discuss 'Prairie School'? Or 'Houseboat Girl'? I think we should. 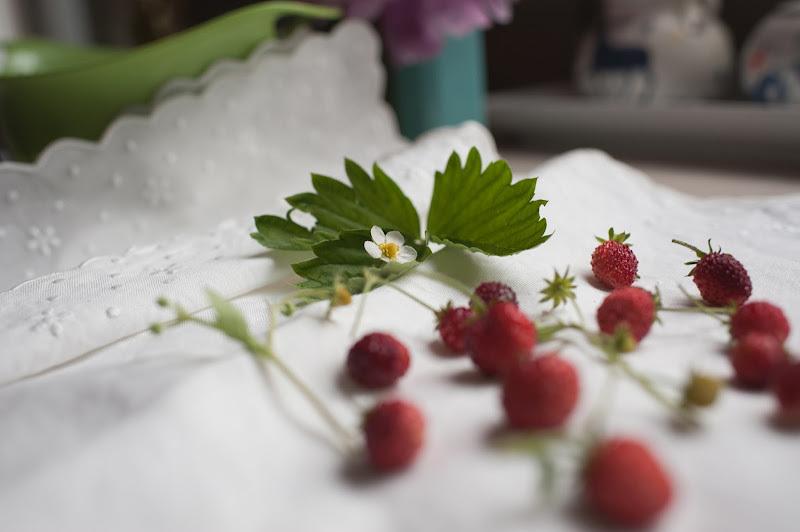 I am SO glad you have found Strawberry Girl. 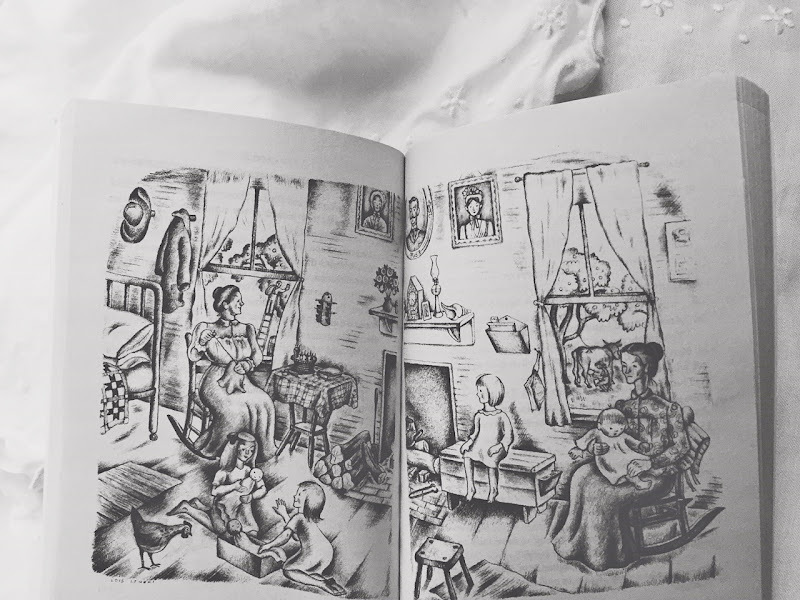 I just love Lois Lenski and her regional books; I don't think I can pick a favorite. 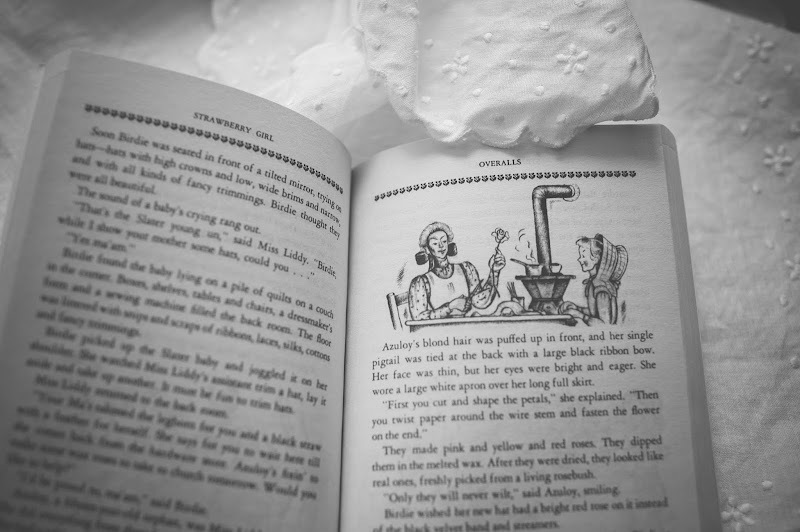 My kids are starting to read them too, and although the dialects can be tricky I have heard my kids adopt the dialect while they are reading the book. It's pretty funny hearing a thoroughly midwestern child try to speak Texan or Southern =) based only on how they THINK it sounds. Oh, and the drawings? Fantastic! Oh how fun Linnie!!!! And, The Gardens of Emily Dickinson? Off to the library to see if they've got it! I haven't read any of her chapter books, either. It sounds so interesting. I love the way you photographed it, by the way. Thank you sweet friend. I'd love to know about the series you're reading, I'm really in a slump right now when it comes to my own reading material! I just read this for the first time with my kids last month. 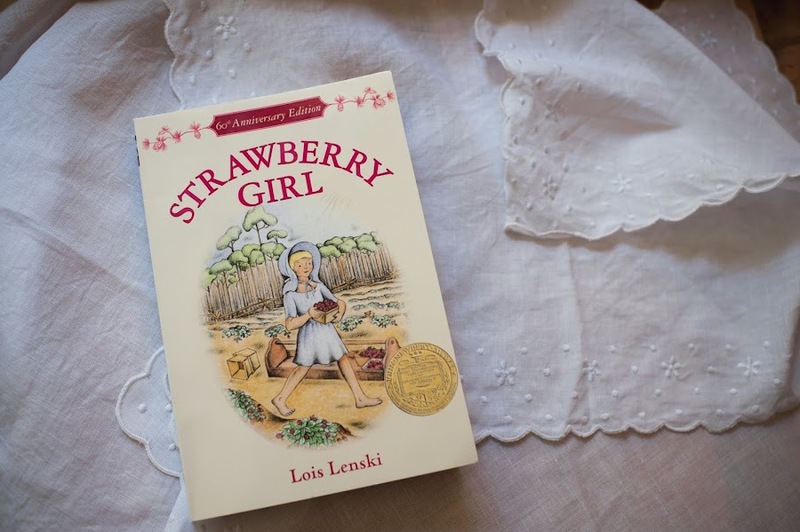 (See here--http://booksandumbrellas.blogspot.com/2016/05/strawberry-girl-by-lois-lenski.html Major spoilers there though. I am terrible at not giving EVERYTHING away.) They loved it! I was totally surprised by how gritty it was. It looks so sweet and fluffy. And then you open the cover and BAM! dirt and heat and hostility. 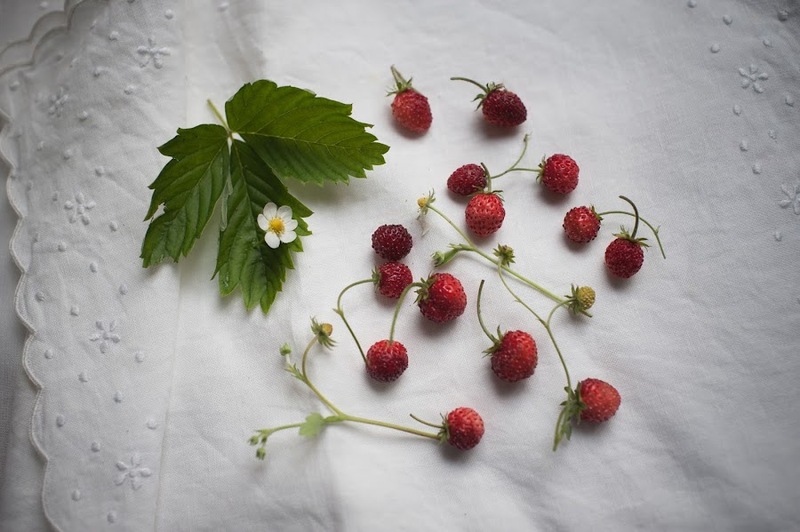 Love your strawberry pictures! You do an awesome job with your pictures!